It seems like every year at this time, we get antsy for cool weather. 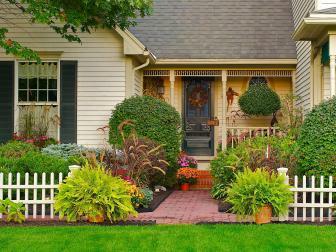 Fall is our favorite time of year both for its cool breezes and lovely foliage. 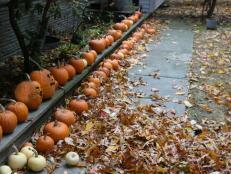 Mostly though, we love gardening in fall. 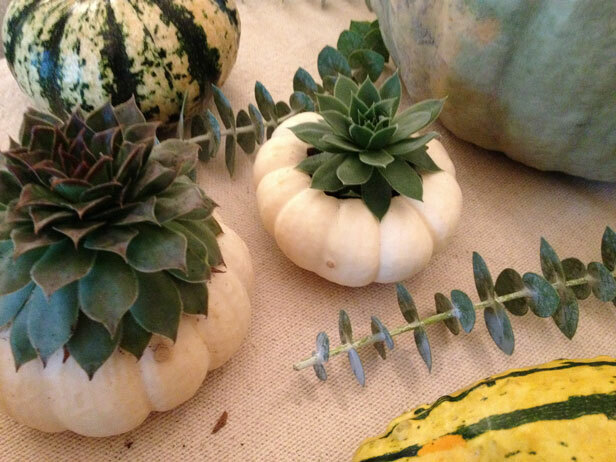 Only in fall do you get flowers like mums and delicious cool weather veggies like kale. We decided this year to make an inexpensive welcome sign for our favorite season using a piece of scrap wood and some craft supplies. 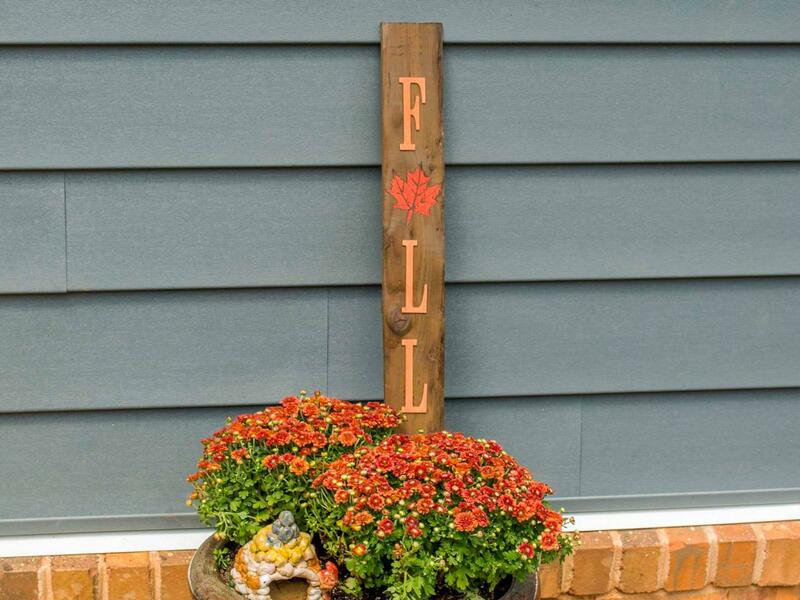 Welcome Fall season with a fun sign made from scrap wood. 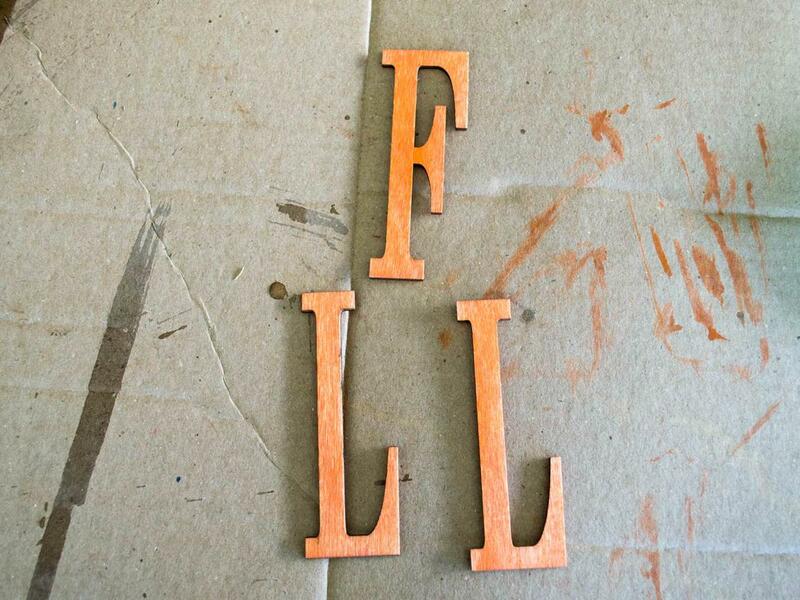 Scrap wood is perfect for a wood Fall sign. 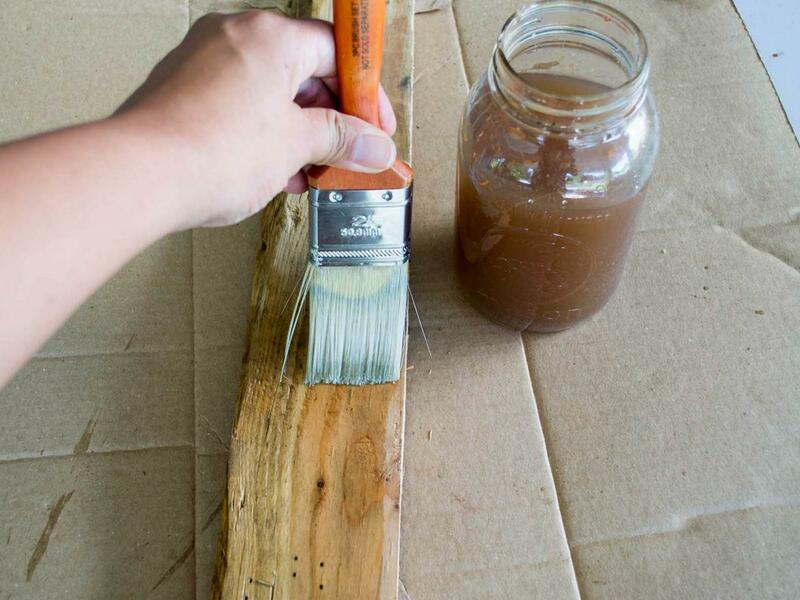 Stain the scrap wood with your favorite color. Stain the scrap wood any color you like. For an inexpensive stain, try this easy-to-make “aging/weathering” stain. 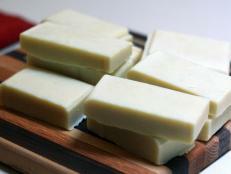 In a large glass jar, fill it with vinegar and a steel wool pad. You will need to let it sit for a day before use. Once it’s ready, paint it on wood like you would any type of stain. 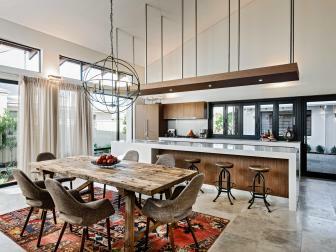 It will gradually darken as it dries, giving the wood a weathered appearance. 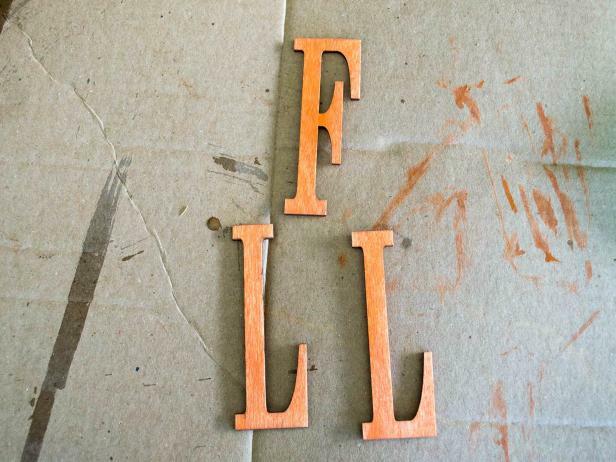 Paint the letters that you will use for your sign. Paint the wood letters with an accent color. Let them dry. 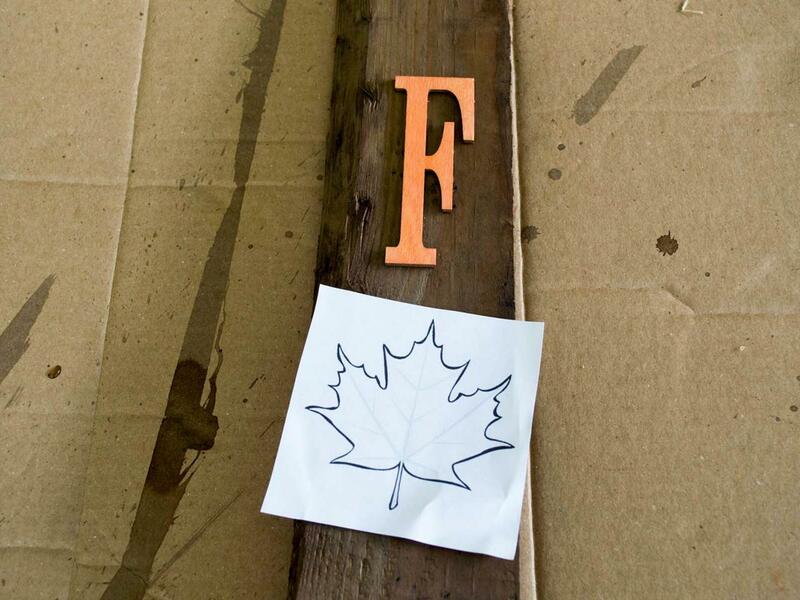 Use carbon paper to transfer your leaf template to your sign. Lay out the letters. Use the leaf drawing to help position the letters as well. Once you have them in position, glue the letters down. 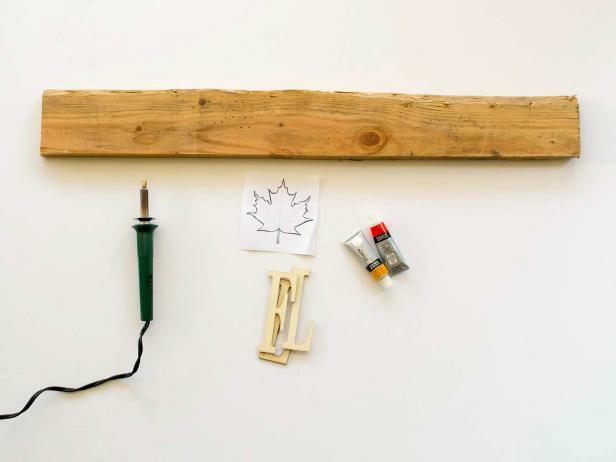 Transfer the leaf drawing onto the wood with carbon paper. Alternatively, you can draw the leaf freehand in the area where the “A” should be. 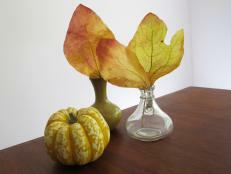 Paint in your leaf with a seasonal fall color. Paint in the leaf with the same accent color as the letters. 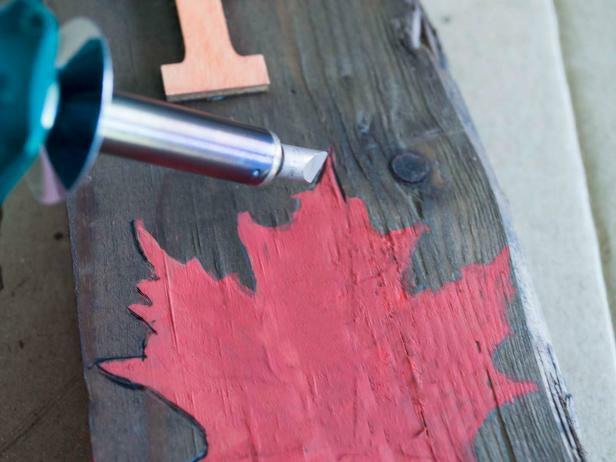 Use a wood burning tool to add definition and texture to the painted leaf. Since the letters are raised, the leaf needs some definition to make it stand out better. 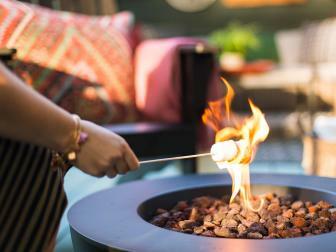 Use a wood burning tool to trace around the edges of the leaf. Go slowly! The wood burning tool gets very hot. Also, don’t hold it in place too long. Add the veins to the leaf as well. 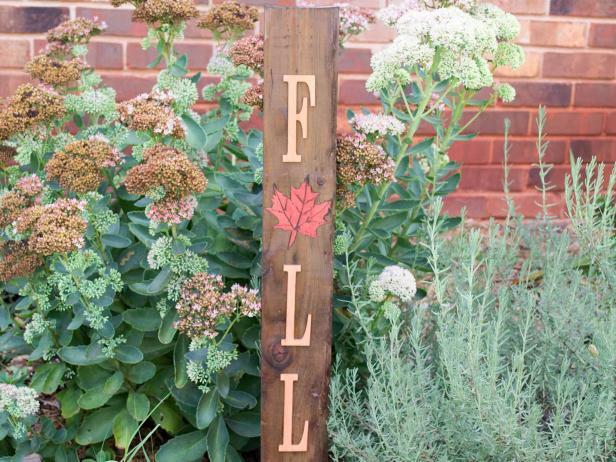 A simple sign that welcomes fall can be used in perennial garden beds. Display your sign in a perennial bed, in a container filled with autumn flowers or lean it by your front door. This sign can be customized—make it larger or smaller to accommodate your space. 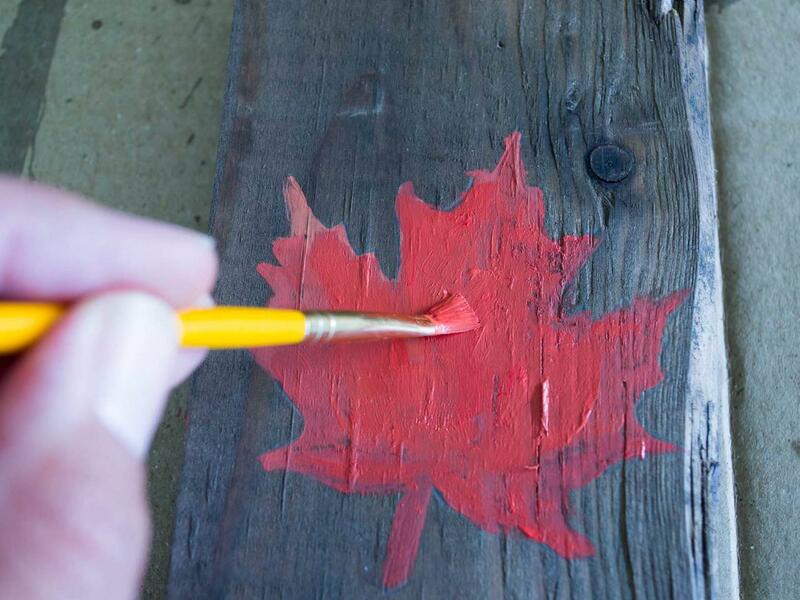 Swap out the maple leaf for an oak leaf or add brighter colors to your sign. 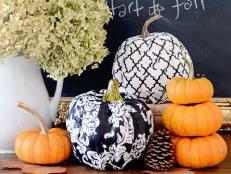 However you make it, a welcome sign for fall is a great beginning for celebrating the season. 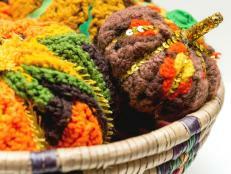 Upcycle old crocheted comforters into decorative fall pumpkins.